My mum hasn’t been cooking very much recently as her health is getting not as good as before. Another reason is that I hardly have the chance to taste her delicious food after I moved to Australia. She always cooked her heart out and tried to find ways to get her kids eat more. Her way of cooking tomatoes really get us hooked, whether it’s cooked with eggs, or chicken, pork chops or fish. The sweetness and sourness of the sauce just strikes the balance. And her kids, including myself of course, would finish a big bowl of rice without any complaints when a dish of tomato sauce placed on the table. To be honest, I’d never cook as good as her when it comes to cooking this kind of dish. Rinse Mackerel and wipe dry with kitchen papers. Season salt and pepper on both sides, rub with a dash of Shaoxing wine. Lightly coat with cornflour. Heat oil in a frying pan over medium. Cook fish until both sides are golden. Dish up on serving plate, covered. Add more oil in pan, sauté garlic until aromatic. Toss in tomatoes, sprinkle salt. Add water and sugar. Cover and cook until sugar completely dissolves and tomato turns soft. Add ketchup and Worcestershire sauce. Cook until sauce reduces to half. Add thickening and cook to the consistency to your preference. Pour sauce over fish. Serve hot with steamed rice. I don't eat much mackerel because I find it to be a "fishy fish" due to all the oil but I really like the look of the sauce and I think it might calm it down a bit. Looks lovely! Hey! You are good too! 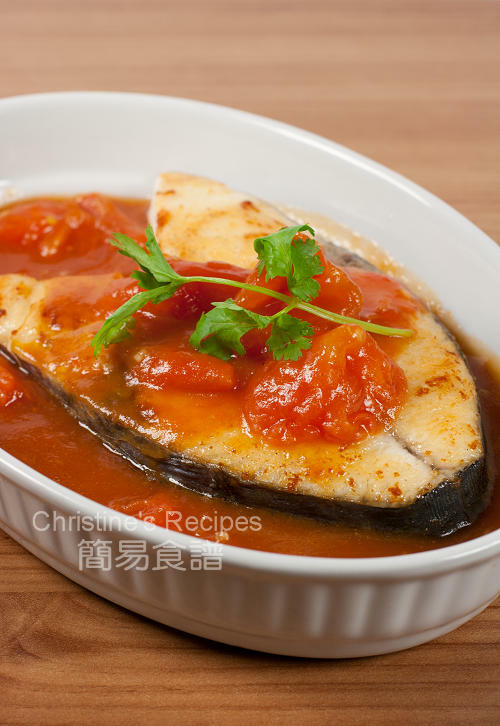 This plate of mackerel in tomato sauce really appealing and appetizing... can I have some? Though I don't necessarily cook such with mackerel but I love having pan-fried fishes with tomato sauce. They are just comforting. Your mum should admire yours very much : ). What a big piece of mackerel! It looks very delicious cooked in tomato sauce. I love mackerel. I often just marinade it with some curry powder and salt and fry it. Really good with rice. I love to cook with tomatoes. My son loves ketchup. What a perfect combo! Yummy! 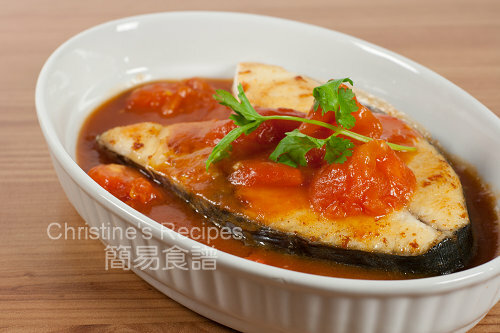 Mackerel is not really my type of fish...but yours looks terrific in tomato sauce and I am willing to give it a try! What are you talking about?? You are a really good cook! what a beautiful presentation, your mackerel in tomato sauce looks so very very good! I love cooking with mackeral. They are relatively cheap but tastes so good. I love fish with a tomato-y sauce, and this recipe looks delicious. I bet the brown sugar, ketchup and Worcestershire make the flavor pop. Yum. Why coat the fish with pepper and salt before cooking? This is my first time cooking fish. It will make the fish more tasty. Made this for dinner, very delicious, and simple to make too! Thank you very much for sharing this recipe.